Mobile app-based trivia game HQ Trivia has launched a companion game called HQ University on Google Assistant. After saying “Okay Google, get me ready for HQ,” Assistant users will be able to take part in solo practice runs of HQ’s signature 12-question trivia games. These games are voiced by HQ Trivia host Scott Rogowsky and a voice bot named Fredo. However, these Google Assistant games are not like HQ Trivia app played on Android and iOS in that they aren’t live and don’t offer cash as a reward. "Hey Google, get me ready for HQ." See how @HQTrivia uses the #GoogleAssistant to help fans train for the main event. 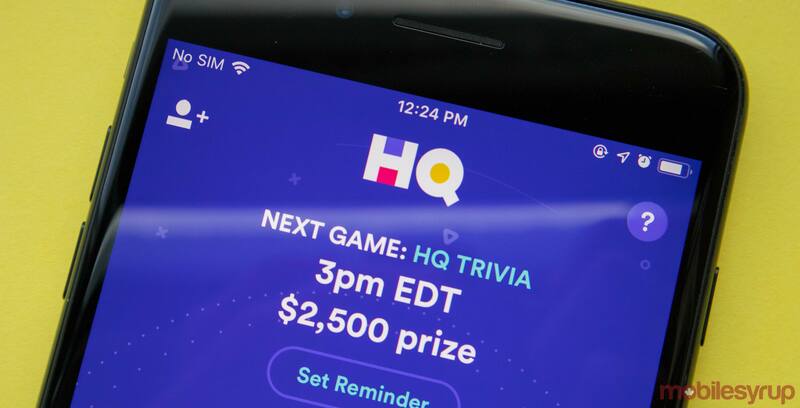 Instead, HQ University is intended to allow players to train their trivia skills as many times as they want before jumping into the live games. To help with this, Google Assistant users can continue playing HQ University even after selecting the wrong answers, unlike in HQ Trivia. HQ University is now available on Google Assistant-enabled devices, including Google Home speakers and Android phones and tablets. It appears that the app isn’t yet available on Canadian Google Assistant devices, so MobileSyrup has reached out to HQ regarding a Canadian launch. This article will be updated once a response has been received. HQ University is HQ Trivia’s latest effort to continue to maintain a large audience since its player base has shrunken over time. The company has rotated in “seasons” of games with larger prize pools and a levelling system that grants players free passes when they answer incorrectly. Further, the company’s Wheel of Fortune-inspired HQ Words spin-off game officially launched on Android and iOS in December 2018. HQ Words is playable from within the HQ Trivia mobile app. However, despite a dwindling audience, HQ Trivia still pulls in a few hundred thousand players each night, with its February 6th Lego Movie 2-sponsored game, in particular, bringing in over 600,000 people.